The holidays are a time when even the most ardent fitness enthusiasts can let their guard down. Christmas cake, alcohol, lollies and mountains of meat can all find their way into your diet, potentially compromising your progress. 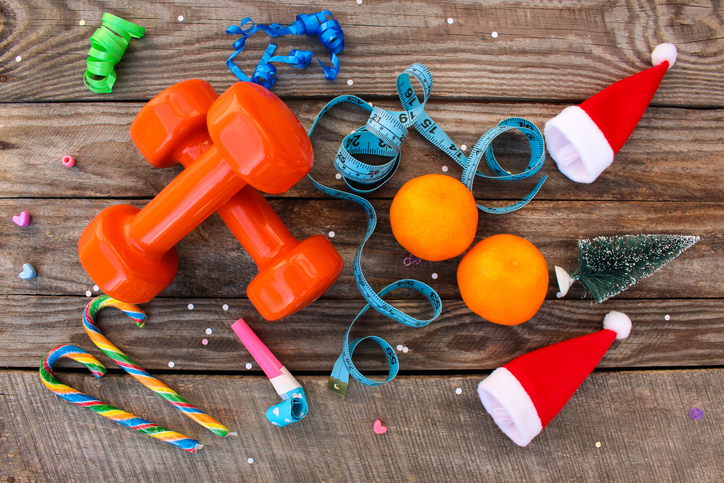 In this article, we’re going to look at some of the ways that you can stay fit during the holidays. Take a look at these ideas. Often, it’s not what you’re eating that’s the problem, it’s how much. People tend to eat more than they should over the Christmas period, with the average person consuming more than 6,000 calories on Christmas day, or three times as much as they need. Stick to a single dessert. Limit yourself to a single drink with each meal. Many people leave their routines in the dust during the Christmas period, preferring instead to do what they want, when they want. But not having a schedule for general fitness can reduce your levels of motivation and lead to excuses for skipping exercise sessions. Rather than leave it to chance, come up with an exercise schedule ahead of time. Don’t rely on willpower alone to see you through the period, especially if you’re planning on having a few drinks. People pride themselves on the tastiness of their spread, which makes avoiding overeating at parties all the more difficult. Party food is moreish – the more you eat, the more you want. And it doesn’t help that people put on their best show during the holiday season. To avoid excess consumption, fill up on healthy food before setting out. Beans, greens, fruits, and nuts are all great options. Then, when you do finally arrive at the party, you’re less tempted to stuff your face. If you live in the northern hemisphere, winter isn’t always the best time to go outside (that’s assuming that you even can go out and that you’re not snowed in). But arranging outdoor activities with the family is a great way to help everyone stay active and avoid some of the post-Christmas bloat. It doesn’t have to be anything spectacular or dangerous: just a walk in the park will suffice. It can be tempting during the Christmas season to “save yourself for a big dinner” by skipping breakfast or lunch. But research shows that people who skip meals early in the day tend to overeat later on. Overeating can be dangerous because it tricks your body into storing extra fat, which could compromise your progress. Eat little and often, then you won’t be as tempted to overeat when the evening’s delights are brought forth. Everyone should enjoy themselves during the holiday season. They just shouldn’t go overboard. If fitness is important to you – which it should be – then try limiting yourself to one treat per day. That could be a single cookie, a slice of cake, a candy, or a glass of holiday whiskey.